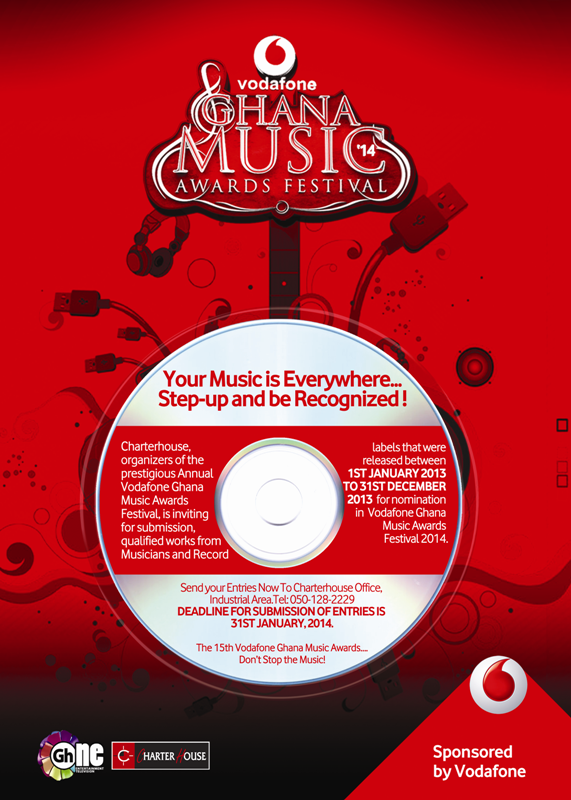 2014 Vodafone Ghana Music Awards calls for entry! Charterhouse, organisers of the prestigious annual Vodafone Ghana Music Awards Festival, is inviting for submission, qualified works from Musicians and Record labels that were released between January 1 2013 to December 31, 2013 for nominations in Vodafone Ghana Music Awards Festival 2014. Send your entries now to Charterhouse Office, Industrial Area. Tel: 050-128-2229. Deadline for submission of entries is January 31, 2014. The 15th Vodafone Ghana Music Awards… don’t stop the music! 2014 Vodafone Ghana Music Awards calls for entry! 0 out of 5 based on 0 ratings. 0 user reviews.